If you’ve been following Alpha Rings for long enough then you’ll know that we’re a massive fan of cobalt rings. Cobalt rings offer plenty of reasons to make them an addition to your wardrobe. They combine an incredible lustre with unparalleled value in our opinion. When you consider that the Cobalt product was designed to closely resemble Platinum, you can see just from the cost difference alone the value that it offers. However price to people is (correctly) not the deciding factor when choosing their ring. The more important question is “how long will it last”. And thats really a question that every bride or groom should be asking before they make their purchase. If you have a look at our ring material comparison chart you can see that we have Cobalt right near the top of the tree. Cobalt’s ability to withstand the rigours of daily wear are quite exceptional. Probably the only products of note that hold their original form better would be Black Titanium and Tungsten. And neither of these have the same “silverish” lustre that Cobalt offers. The above image is one of the rings I wear most days of the week. This ring has been worn for almost 3 years. Although only taken with a phone camera, you can clearly see an absence of obvious scratches. There are a few very fine scratches, but the form of the Cobalt ring is very similar to how it was when I first started wearing it. This is one of the reasons I wear Cobalt. So when deciding if Cobalt is the right product for you, consider the incredible scratch resistance that it offers, as well as its amazing appearance, smooth feel and low price point. 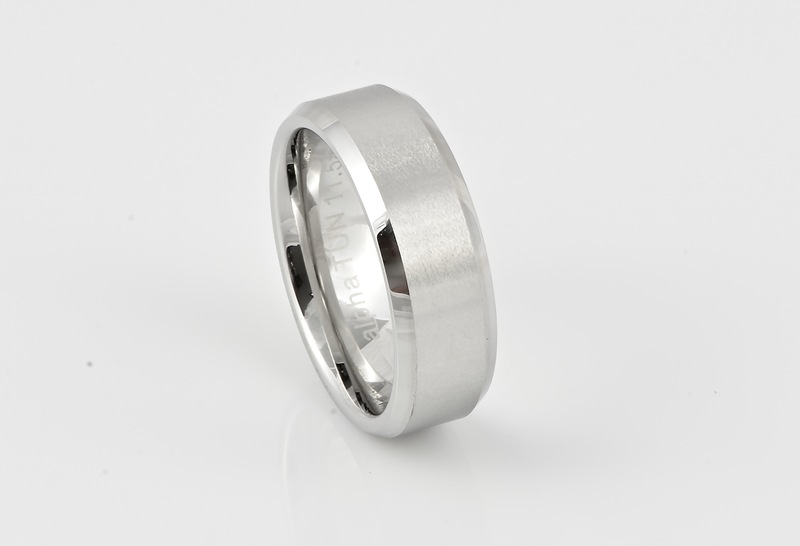 With all these factors considered, Cobalt is truly one of the prime materials to make a wedding ring out of. Hello I bought a cobalt ring from overseas but it has become very scratched quickly but you say Cobalt is scratch resistant so does that mean it should be hard to scratch or not? Well its a tough question to answer because I really don’t know what the product is that you’ve bought. Depending on where you bought it from, it could really be anything. When we make a Cobalt ring however, we know exactly what we’re putting in it, and you can rest assured that it is very much highly scratch resistant. 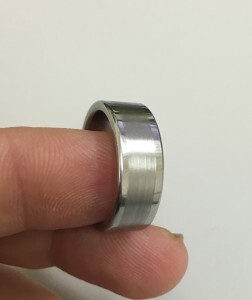 Cobalt isn’t as scratch resistant as Tungsten for example, but its probably next in line and should only show quite faint scratches over time. I am thinking of buying either Cobalt or Titanium ring but I’m not sure which one will scratch more. Some websites say one and others say the other one. Hey Tom, feel free to send me an email, but most certainly Cobalt will be more resistant to scratching than Titanium will. Titanium is definitely harder than most materials including gold and silver, but not as hard as Cobalt or Tungsten.